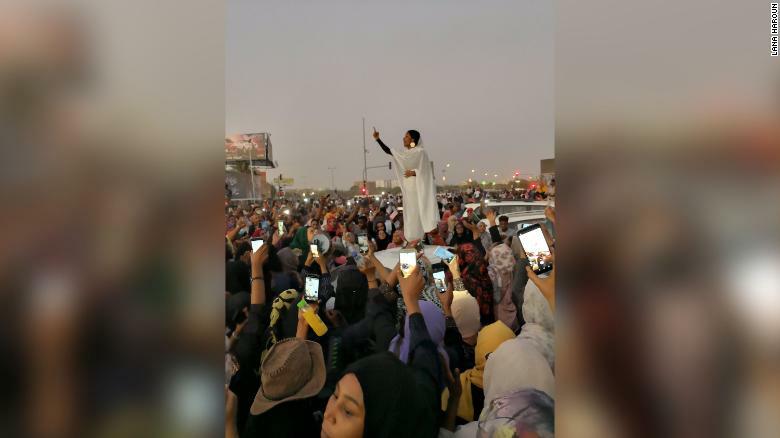 Women including 22-year-old Alaa Salah - in a moment that will forever go down in history - resisted and organized against the 30-year rule of Sudan’s autocratic, repressive, and brutal dictator Omar Hassan al-Bashir. He was arrested and overthrown yesterday by the Sudan military - via CNN. Like Shiphrah and Puah, who resisted the powerful Pharaoh of their time by putting the sanctity of life above repressive and authoritative political rule, Alaa Salah is a symbol of hope, power, and justice for women, children, and all people. Shiphrah and Puah held strong to their belief that the God they knew would never wish for baby boys to die, and they acted in bold and ingenious ways to bring about the change they saw as not only within reach, but necessary. On the day she hopped on a car, creating a now-famous moment, Alaa had gone to ten different gatherings, reading revolutionary poems and singing songs of peace and revolution. In the beginning, only six women joined her, but their voices and passion eventually gathered thousands. Our holy scriptures teach us that women have been resisting injustice for ages. As Christians approach Palm Sunday - the day Jesus rode into Jerusalem on a donkey as a symbol of resistance against Empire - let’s pause and ask ourselves what “powers that be” we should resist today. And while we’re thinking, let us open our eyes and notice the young people – overwhelmingly young women – who are leading revolutions all around us. Sometimes we have to jump on top of cars to be heard. Sometimes the voices of truth inside of us so need to be sung that when we begin singing, multitudes join. Embolden us to sing songs of justice. Strengthen us with the courage to resist repressive and violent systems of power – as dangerous as our resistance might be. May those of us in positions of privilege due to how we are raced, and/or our socio-economic statuses, lead when it is too dangerous for others to do so. May we remember, as Alaa read on top of the car, that “the bullet doesn’t kill, but what kills is silence.” Amen.